In addition to that, Pokémon Black and Pokémon White take the 3D attributes previously included in Pokémon Diamond, Pearl, Platinum, HeartGold & SoulSilver and take them to new levels by including things like fully 3D bridges and a completely 3D city. 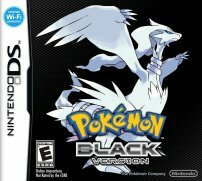 Pokémon Black & White are set in the region known as Unova. Unova is a region far away from the previous regions, requiring you to get there by Boat or Plane. It has a large city called Castelia City, with loads of buildings and sky scrapes for you to explore. Outside of the city and Unova remains to be predominantly industrialised with various factories and train tracks existing in the various areas. As the games are set in a region far away, the main game will not feature any old Pokémon until you have beaten the main story. The games also have you playing as protagonists older than the previous playable characters. Pokémon Black & Pokémon White are to be compatible in with the games of the previous generation; Diamond, Pearl, Platinum, HeartGold & SoulSilver through the aspect of the game known as the PokéTransfer so you can complete the Pokédex. In addition to this, there is a method called the Relocator which works only for a certain few event Pokémon. Through this, some event Pokémon can be traded over to these games to unlock new things such as the Monster Fox Pokémon, Zoroark. Much like how Gold & Silver introduced the concept of the Day/Night cycle, Pokémon Black & White introduce the concept of Seasons. These seasons change a variety of factors including Wild Pokémon, location aesthetics and even the background music. The seasons rotate at the start of every month so you don't need to wait long until the next one. The games also introduce a variety of new multiplayer aspects including the Xtransceiver, a DSi & 3DS exclusive feature, that allows for video chat with you and your friends. In addition to that, the games can now connect to the Internet for access to a site called the Pokémon Global Link. The Global Link allows you access to Random Matches on the Internet, capable of being ranked based upon your performance, as well as a section called the Dream World which will allow you to obtain non-Unova Pokémon, some of which have new abilities, and items that also cannot be obtained in Unova such as Berries. In addition to this, the games also have the Entralink feature which has you visit a friend's game and complete certain missions in order to get various power ups which last a short time in the main game. The game's story features you having to stop Team Plasma, a team who, unlike previous teams, want to do good and intend to stop what they perceive the slavery of Pokémon caused by trainers. In addition to this, you also have to travel the region in order to get 8 badges once more. 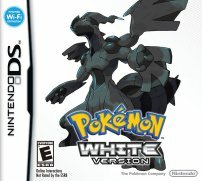 As stated above, Pokémon Black & White are DSi Enhanced. As such, they will only work on DSis of the same region as the game. However, despite this, there are a variety of new features exclusive to the DSi. First is the Xtransceiver which does allow for voice and video chat between up to 4 friends locally and 1 friend over the Nintendo Wi-Fi Connection. In addition to this, Pokémon Black & White are capable of connecting to the Internet via the WPA encryption as opposed to previous games only being able to connect to WiFi through no encryption, or WEP.